sound! The grille cloth is not original. 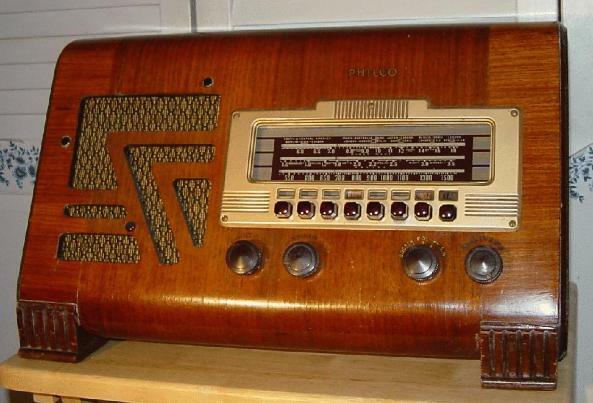 This radio is usually found with the wine-colored push-buttons disintegrated. This one was no exception. I got replacements at Antique Electronic Supply. They are also available at AntiqueRadioKnobs.